Meet Debbi Dickerson: mousy, codependent housewife who, at age forty-seven, feels her life is over. Her dreams of being an artist have long been discarded in the wake of her failing marriage, and her kids think she’s invisible. She’s stuck on the hamster wheel, going nowhere. That is, until menopause blindsides her. 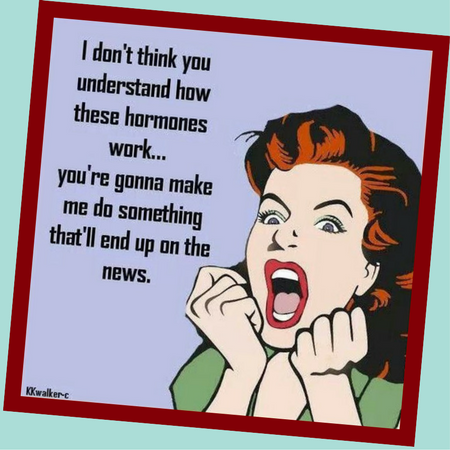 Derailed by one symptom after another, Debbi struggles to find a way to quell the hot flashes, night sweats, sudden panic attacks, and unbridled rage. The gals in her scrapbooking club give her advice on how to survive menopause, but nothing seems to help . . . except killing. Meet Jerry Dickerson, Debbi’s husband: arrogant, insensitive, all-around jerk, whose greatest dream as a homicide detective is to catch a serial killer and be admired, for once. So when a series of strange deaths break out in Tacoma, Washington, Jerry is elated, but the pressure is on to catch the killer. Jerry’s boss, Sergeant Myra Manners, is also going through menopause and makes his life hell. And then there’s his teenage daughter dishing out hormones like Girl Scout cookies. Seriously, what’s a misogynist to do? Have an affair with some bubblehead, of course. Debbi discovers Jerry’s infidelity and decides to kill off his girlfriend. But along the way, bodies start piling up, and Jerry’s suspicions of Debbi grow. Could his wife actually be the Tacoma Terror? Debbi, channeling Tacoma’s claim to criminal fame, Ted Bundy, evades capture as she reinvents her life. No longer painting cutesy Hallmark cards, she lets loose her rage on the canvas, throwing paint and dishes, and at a friend’s urging takes the abstracts to a high-end gallery in Seattle. To Debbi’s shock, she’s hailed as the next Jackson Pollack. But even that great sense of accomplishment can’t stop her from killing more people. Debbi sees herself as a kind of vigilante, ridding the world of sexist, arrogant, and mean people who deserve their comeuppance. But her killing spree is about to come to a quick end, and she knows it. However, she’s prepared a coup d’etat for her unsuspecting cop husband. More than dishes are going to fly. Don’t miss out on the tears and guffaws! 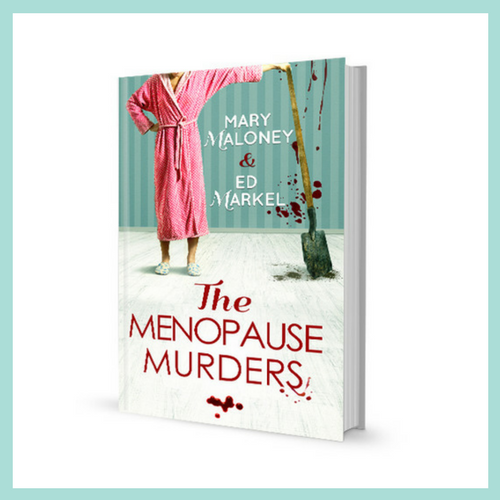 Sign up for our mailing list so you can be the first on your block to read The Menopause Murders!